Located at the far western end of the Mont Blanc massif, Les Contamines (1160m) is a beautiful and quiet village that retains its quintessentially French character. 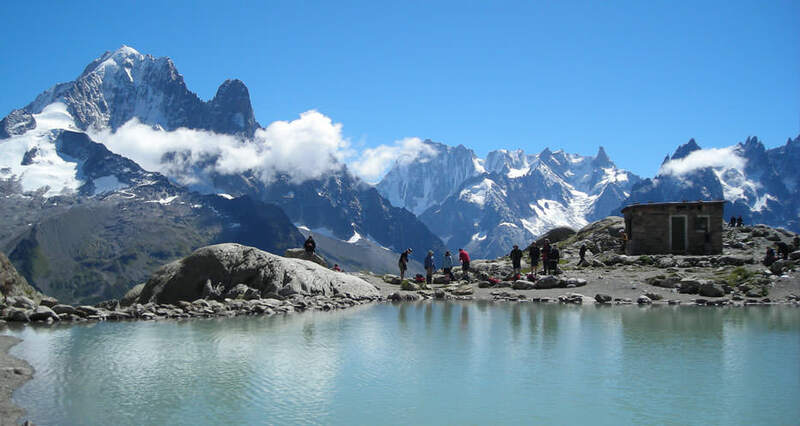 When hiking on the Tour du Mont Blanc you will spend at least one or two nights here. In the centre of the village there is an impressive church and the shops, bars and restaurants line the single road that leads out of the Contamines Valley. There are very helpful staff in the tourist office, three small supermarkets, an ATM and a handful of outdoor shops selling hiking equipment. The village has an unrushed feel to it and it is worth spending time watching the world go by whilst enjoying a coffee or an ice cream. The village stretches along the flanks of the river and there are lovely old farm buildings that have been converted into houses and some of the old chalets have been carefully restored. Although it is popular family ski resort, there are only a few hotels – most skiers stay in apartments and chalets. As such, the choice for trekkers is limited. 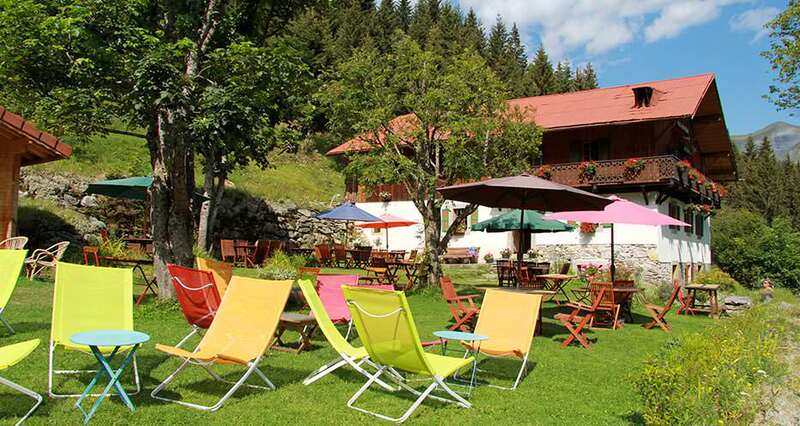 However, you can find a couple in the centre of the village and a few more spread out along the valley and close to the ski lift system. During the summer a few of the ski lifts are running which allows you quick and easy access to the meadows and alpages above the village. 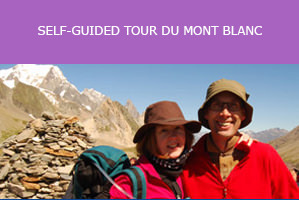 There are lots of further walking opportunities and some people try to climb Mont Joly at 2525m. This is a strenuous hike with over 1000m of ascent on steep ground, but the 360° panorama from the top is outstanding. From here you can see Mont Blanc, the Aravis mountain range, the ski resort of Megeve and the long, wide valley leading to Geneva. Just over 3.5km from the village, there is the church of Notre Dame de la Gorge. It is a small, but beautifully decorated church and is on the Tour du Mont Blanc trail. Originally the site was known to hermits and, during the Middle Ages, the church provided shelter to travellers. Its current appearance is from 1699 when extensive renovations and repairs took place. It is a Baroque style of architecture. In addition, there are fifteen shrines that line the road as you approach the church – all of them signifying different stages of the Virgin Mary’s life. As it is directly on the TMB, you can go inside and visit: there is no charge. 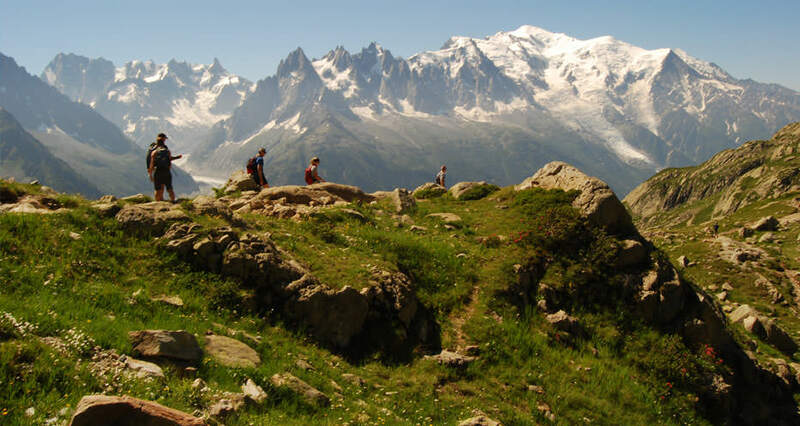 Whether you are coming to Les Contamines from a clockwise or counter-clockwise direction on the Tour du Mont Blanc, both days are tough and involve long ascents to cross mountain passes. 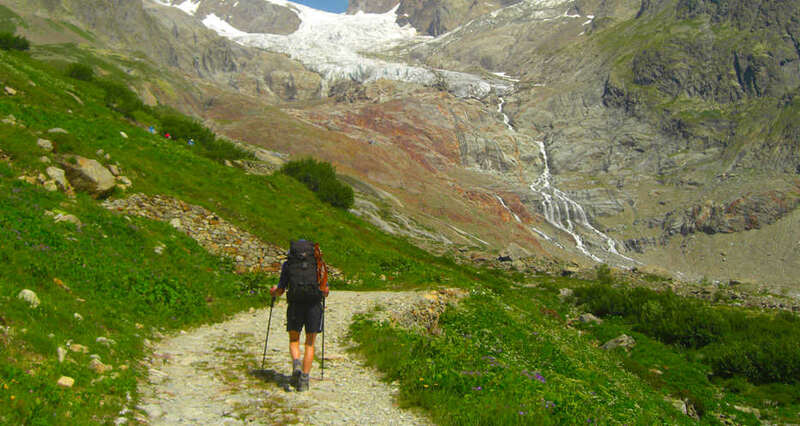 If coming from Les Chapieux (clockwise), you cross the Col du Bonhomme and then have a three-hour descent into Les Contamines, passing the Chalet de Balme and an ancient bridge that crosses the waterfalls of the Nant Borrant river. If you are going anti-clockwise it takes 4-5 hours to reach the pass. 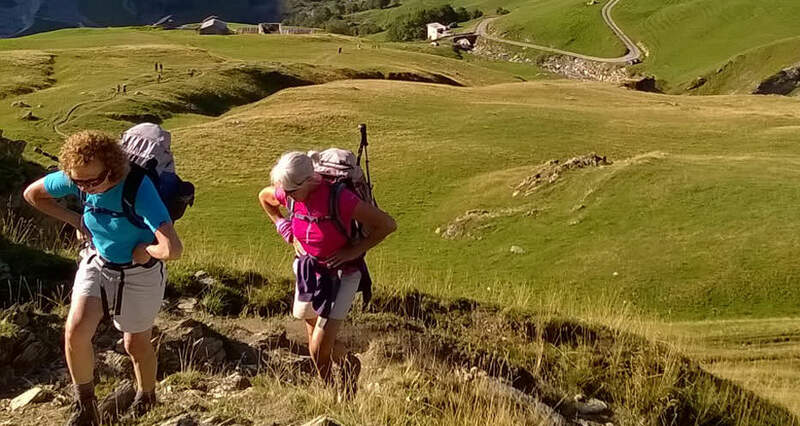 When continuing clockwise from Les Contamines towards Les Houches you have the easier route via La Gruvaz, Bionnassay and the Col de Voza or the much tougher hike over the Col du Tricot (2120m). 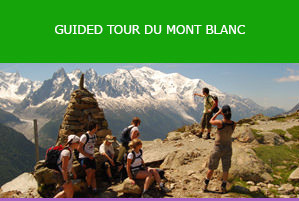 The latter is the steepest single climb on the Tour du Mont Blanc and takes between 45 and 90 minutes to get to the top. However, you can stock up on blueberry pie at the Chalets de Miage to get you through it!